Home Books Strategic approaches to the development of US energy infrastructure in the context of the federal national power grid and energy markets. 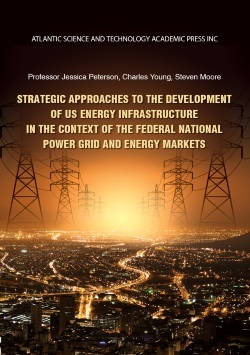 The monograph explores the theoretical and practical problems of formation of cross-border power complex on the basis of US Fuel and Energy sector in terms of integration of federal power systems and energy markets in the North American energy generating space. The necessity of forming multi-resource energy infrastructure is substantiated. The authors define the contours of a comprehensive approach to operating the various factors to optimize energy supply through the introduction of intelligent information management systems, and for monitoring and control of market turnover in trading in fuel and energy resources, their storage and transportation services based on the integration of electronic trading systems. The book is intended for managers and specialists of state administration bodies and corporate management, and may also be useful for researchers and students.